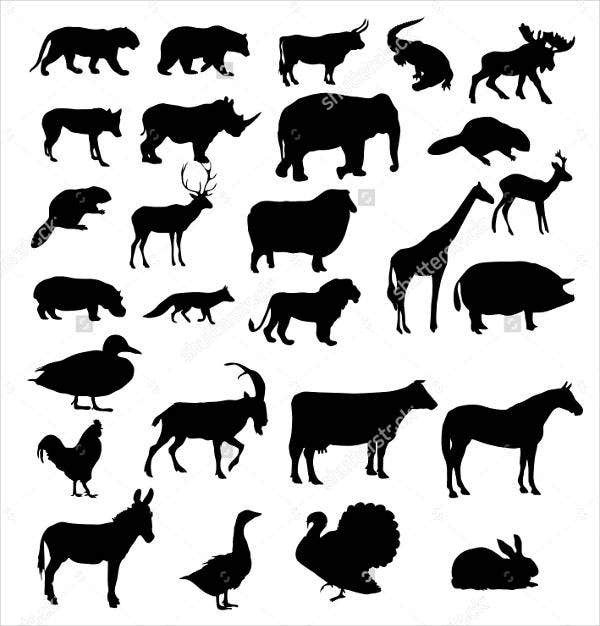 Know the animal kingdom with these animal vector silhouettes that are perfect to be utilized as animal flashcards, name tag stickers, paper puppets, and even for making your own action-packed animated animal videos. 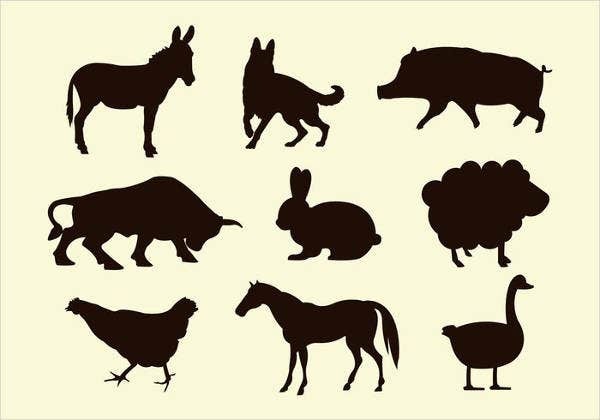 Animal vector silhouettes can be used as such to educate children using different media or even be useful for creating new animal images like, for example, adding a nose and ears or stripes on a tiger silhouette to give it a face and body. 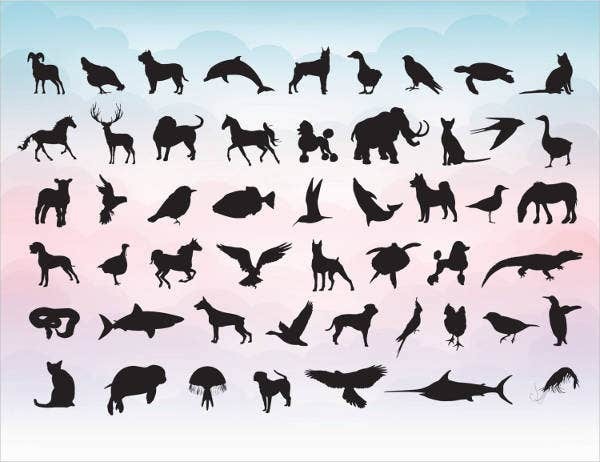 There are may uses of vector animal silhouettes, which you can download from the templates we collected from all over the Internet in this article. Each of the template contains different animal silhouettes in high resolutions so you can maximize your downloads. The templates we offer in this article are available to download for free or license for a reasonable amount. They come in easy-to-modify PSD, Vector AI, and EPS formats, so all you have to do is to modify them according to your needs, print, and utilize however you want. Depending on the type of animal you want, our collection includes examples of silhouettes, ranging from mammals, birds, fishes, and other sea creatures. They could also belong to different ecosystems like farms, oceans, forests, savannas, the arctic regions, or zoos. We also have domesticated pets and extinct animal examples of silhouettes. Vector Animal Silhouette. 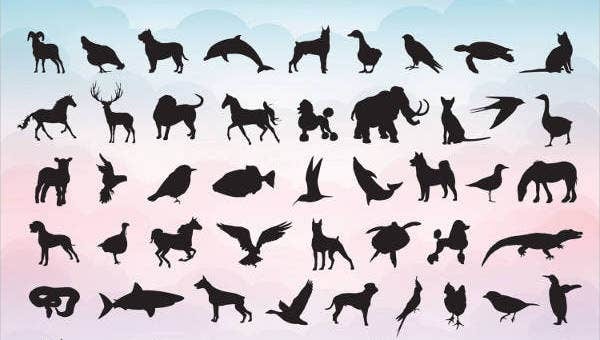 Vector animal silhouettes are great for children’s learning materials since they are easy to modify. Cartoon Animal Silhouette. Want a cartoon-effect silhouette? Try this set for size. Printable Animal Silhouette. These beautiful animal silhouettes are ready for printing. Farm Animal Silhouette. Need barn animals? Check out our farm animal silhouettes. 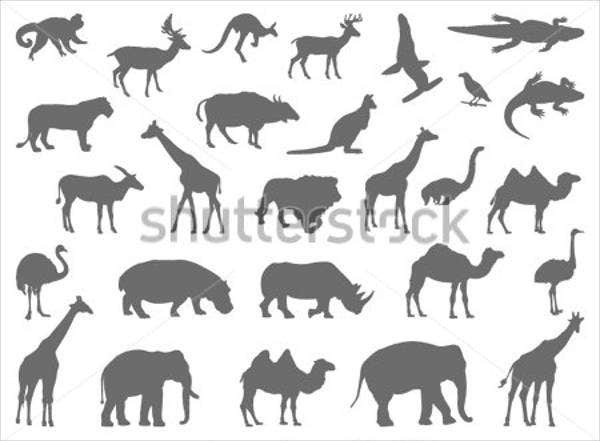 Animal Silhouette Clip Art. 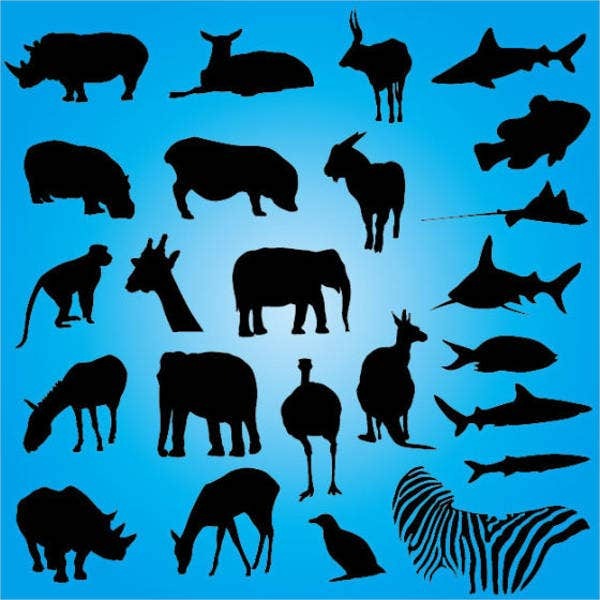 Animal silhouette clip arts can be used for personal or commercial projects. They serve as a great design addition to greeting cards. 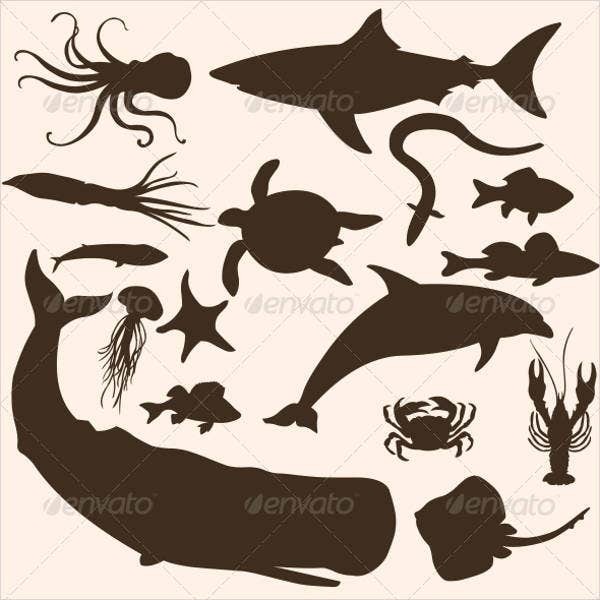 Ocean Animals Silhouette Vector. Want an underwater scene? 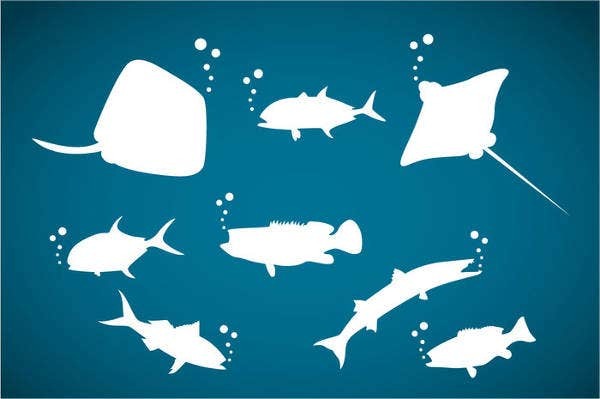 Check out these unique ocean animal silhouettes. Animal Silhouette Photography. 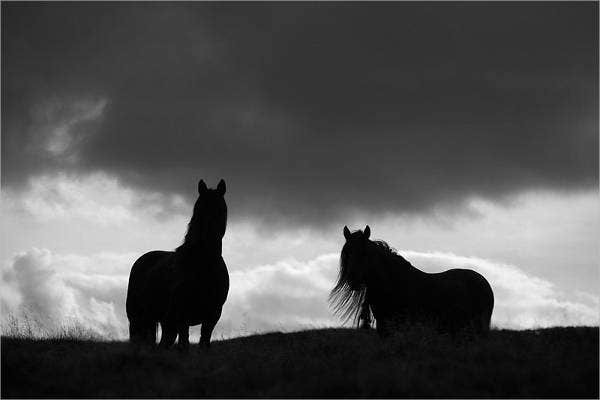 For a more realistic feel, you can make use of animal silhouette photography. Wild Animal Silhouette. Have a thing for wild animals? They’re great to use on safari- or zoo-themed invitations. One set has about 10 or more animal templates. Make sure to check if your desired animal silhouettes are in the sets you downloaded. 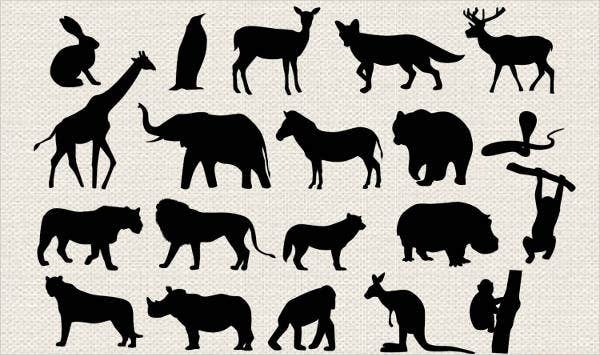 Black-and-white silhouettes are always a safe option for graphic designers who want to create new images using vector animal silhouettes. Aside from vectors, you can also achieve a sketch-like effect to your animal silhouettes or perhaps add fun patterns to make it look eye catching. Poster Paint Effect. The poster paint effect converts your animal silhouette into a colorful piece being painted on canvas. Chalkboard Effect. Using this effect, your animal silhouette will turn into fine grain art. Sketchy Effect. If you want your animal silhouette to look like it’s been drawn with pencil, then you can apply this effect on Photoshop. Mosaic Effect. Turn your animal silhouettes into stained-glass pieces of art in windows you see in traditional churches by adding a mosaic effect to your vectors. Embroidered Effect. Your animal silhouette can adapt a textured netted look with this effect. Inked Effect. Want your animal silhouettes to look cool like temporary tattoos? Use this kind of effect. Some image effects can be downloaded from the Adobe Photoshop website. You can also make use of image filters and other effects from other software applications. Remember to use the right amount of intensity in blending colors when dealing with filters.